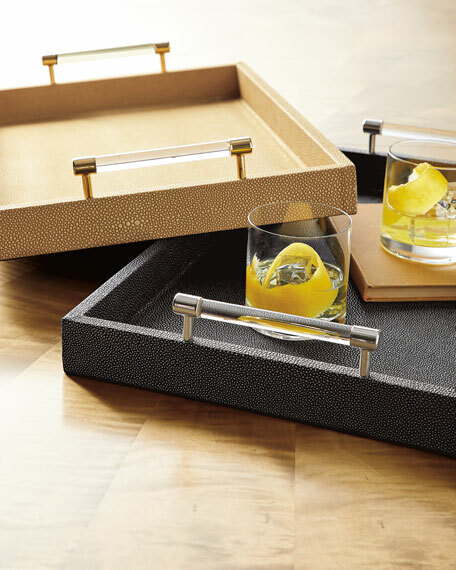 The effortlessly glamourous and high style of the Faux Shagreen tray with acrylic and metal accented handles has the textured feel of vintage sting ray Shagreen, except in an animal friendly way. Faux shagreen tray with acrylic handles. 22"L x 14"W x 2.5"T.